It’s easy to always assume that car design is about progress – that today’s cars are unambiguously better than those of yesterday. But to adopt such a philosophy would be foolhardy: it would mean, for example, that in every stage of the development of the car, each stage was better than the last. So by that definition, the huge American cars of the Sixties were better in every respect than those of the Fifties, or that cars of the Seventies with engines strangled to meet emissions legislation were better than the cars of the Sixties. Or that today’s cars are better than the cars of ten or twenty years ago. And I am not sure that’s the case. In fact, to be bolder, I think that in many respects today’s designers have become slave to fashion, and are producing cars than when judged with clear criteria of assessment, are stupidly poor. I also think that many of today’s buyers don’t realise that they are getting dudded - that cars don’t have to be like the offerings being placed in front of them. So what are these deficiencies then? The other day I was following a mid-Eighties BMW 3-series in traffic. Looking at the car, I couldn’t help but marvel at the low waistline and the sheer amount of glass the airy, open cabin had. In fact, the cars around it – all much more recent – had cabins that appeared squashed and enclosed. There is absolutely no reason – but fashion – that current cars have such small window area. One designer lifts the waistline and the next says, hmm we can do better than that. The next goes even higher, and all of a sudden, it’s become a current styling theme. But what a stupid one. People peering out of tiny windows, children struggling to see over window sills, drivers unable to easily check their rear three-quarter blind spots. Get into five new cars, one after another, and you could start assuming that’s just how cars are. But step into a car 20 or 30 years old and it suddenly feels so light and airy – like going to a house with huge picture windows when you’ve been staying in an old cottage equipped with just tiny areas of glass. Of course, when a current designer decides to change direction and pen a car with decent glass area, everyone will say – gosh, how daring! Doesn’t that look wonderful? Over the last 40 years tyre profiles have got lower and lower. 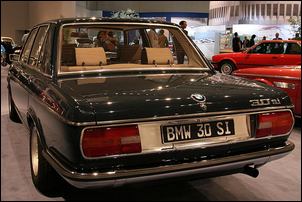 My 1970s BMW 3.0si had for its day high performance tyres – 195/70s in fact. Oh how silly, everyone aged under 35 says. What a ridiculous profile – imagine 70 series on a performance car! In fact, the current BMW equivalent has on its back wheels 275/35 tyres. And after all, the lower the tyre and the wider it is, the better… No? The lower the tyre profile and the wider the rubber, the harsher the ride and the greater the aerodynamic drag. The rim is also much more susceptible to damage on poor roads. The benefits? More lateral grip (but that depends a lot on tyre compound) and a faster steering response. But for how cars are mostly used, I think that tyre profile on the vast majority of cars is stupidly low. 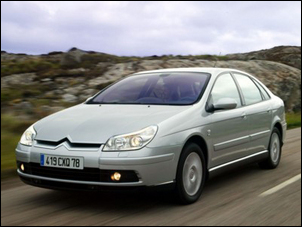 Take the Citroen C5 diesel I drove the other day. Here is a car that uses a very sophisticated electronic/hydraulic/gas suspension system, developed through many decades of experience to provide supreme ride comfort. 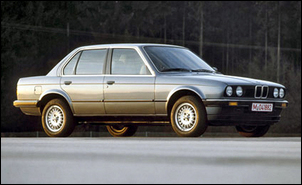 A diesel sedan, it should have been among the most comfortable long-distance cars you can buy. It was equipped as standard with 45 series tyres. And the ride quality? Very , very soft on the larger bumps – mixed with a harsh jarring over all the small bumps and edged bitumen, the jarring purely the result of the chosen tyre profile. I’d love to try that car again with – say – a 60 or 65 series profile… I am simply certain the ride would have been vastly improved. 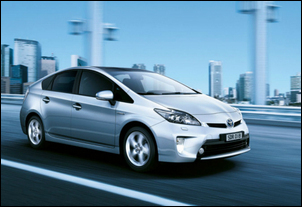 Or the Toyota Prius. The current model has 45 series tyres; the just superseded model (pretty well identical in every other respect) has 65 series tyres. Drive one after the other and the model with higher profile tyres is clearly much more pleasant on the road. Note that the Prius and the Citroen are hardly what you would call performance or sporting cars: the need for radical steering response or unbelievable handling is simply not there. So why fit tyres that in 99 per cent of real-world driving conditions have negatives that outweigh the positives? The vast majority of cars are designed in a way that implies they will always be carrying four or five people. But look around when you are stuck in traffic – how many cars are full of people? The answer is to, obviously, produce cars that can be user-configured to carry whatever combination of people and luggage is needed for that trip. Two people and lots of stuff, four people and less stuff – and so on. But so many cars simply are not like that. Yep, a sedan may have a split-fold rear seat – but you’re always still carrying the seat… even when it is simply taking up space (folded or not). Many hatches have split-fold rear seats, and some have tumble-forward seat squabs. But why are the seats still there? Over the years only a few cars have had the flexibility in internal configuration that really reflects driving realities. The Mercedes A class of the late Nineties was a ground-breaker. In the A-class you could have no less than 72 combinations of seat positions, seat removals and seat angles. The Skoda Roomster (a car I own) and the Skoda Yeti also have huge versatility in terms of seat location and removal. Why not build cars for how they are actually used? 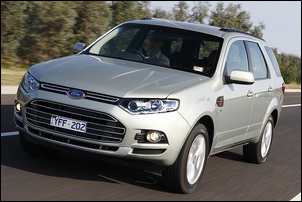 Here in Australia, over the last decade the popularities of SUV-type vehicles has exploded. The car of choice for many families is what I would unflatteringly call a truck. But when you think about these purchases in terms of the deficiencies highlighted in this article, you can better see why those choices are being made. SUV-type vehicles typically have large windows and the people inside have an excellent view of their surroundings. 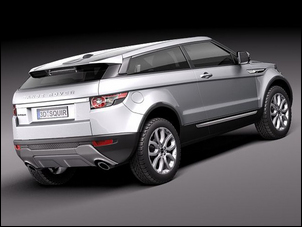 SUV-type vehicles typically have higher profile tyres and a suspension tuned for ride quality rather than outright handling. SUV-vehicles often have more internal flexibility, for example in seven-seaters having an additional two seats that fold away when not needed. I am sure that these aren’t the only reasons that this type of vehicle has become so popular, but I think that even if not articulated, these points are being considered in the purchase.